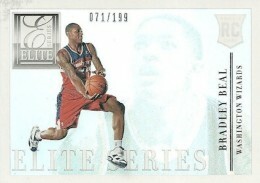 When the Elite name debuted as a standalone brand, it gave collectors one of the most high-end experiences in the hobby. It has largely stuck to its guns and as the hobby's progressed, Elite has settled into a mid-level spot. 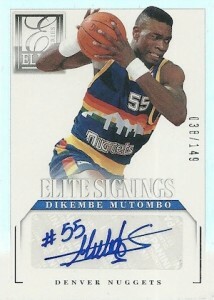 2012-13 Panini Elite Series Basketball looks to bring back the premium lustre with a reconfigured look and feel. 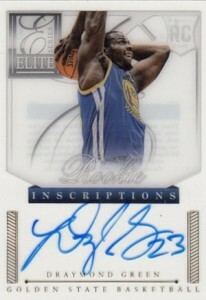 Every 2012-13 Panini Elite Series Basketball hobby box comes with just ten cards. Four of those are autographs. 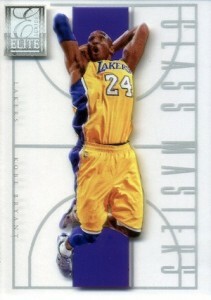 Boxes also have an Elite Glass card, which Panini describes as being thick and "backboard-inspired." 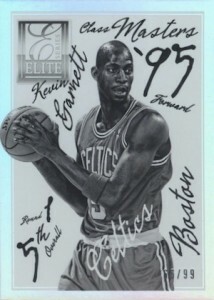 2012-13 Panini Elite Series has seven different autograph sets. 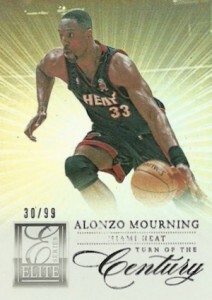 Passing the Torch, a staple in Elite, includes two autographs, one on each side of the card. Court Kings offers a signature hoops spin on Diamond Kings. The checklist for the artistically inspired autograph cards has 100 cards. Inscriptions autographs feature both rookies and veterans. 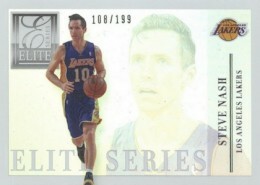 Other inserts include Court Vision and Rookie Elite Series. With so many hits and inserts, the base set is going to be a challenge for set collectors. It clocks in at a sizable 275 cards. Take into account that there are no more than five base cards in a box and there's a major task for those who attempt it. 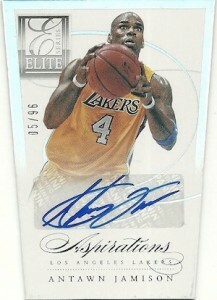 As with past Elite sets, 2012-13 Panini Elite Series Basketball includes die-cut Aspirations and Status cards. 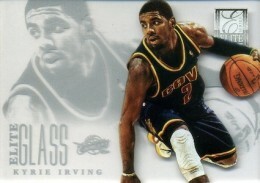 Kyrie Irving 2012-13 Panini Elite Series Rookie Inscriptions On Card AUTO! Tristan Thompson 2012-13 Elite Series RC 245 & Aspirations Auto Card 54 87 Lot. Good: So many gorgeous elements, nice amount of variety in the autographs, limited nature of the product. Bad: Tough to justify some of the inclusions considering the price tag, redemptions. The Bottom Line: I'll be the first to admit that I was skeptical at a second 2012-13 basketball set boasting the Elite name, especially a high-end one. However, everything about this set is beautiful. Designs are clean, show good variety and, most importantly, distinct. My hope is that this is the direction Elite takes going forward to reestablish itself. A lot of products have elements that look amazing and others that are average (or worse). 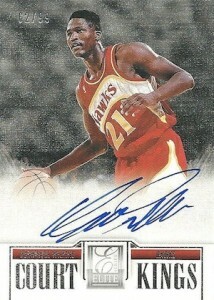 2012-13 Panini Elite Series Basketball looks great at every level. It's not very often the world elegant can be tossed around when discussing cards. That's left for sports cards or that piece of jewellery that someone special in your life has been admiring for years, whether you've noticed it or not. Base cards balance white space and foil very nicely. 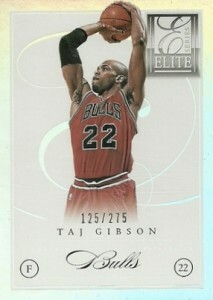 The Elite Series inserts, although redundant by name, use more foil but they're definitely not overpowering. They seem to be channeling Fleer Showcase a little when the brand was at its best in the late 1990s. The real star of the product is the Glass inserts. The thick Plexiglass cards have a layered look that's almost like shadowbox cards. And while these look great, I'm excited to see how companies continue to push the technology. Autographs are where the biggest variety in the set takes place. Elite Signings, which seem to be the most plentiful, are pretty much like a parallel. These keep the foil border and use lots of white space. And while I'm not a fan of the stickers they use, the design makes them a lot less obvious. I'm a sucker for acetate cards so you're not going to hear me complain about the way the hard-signed Inscriptions set looks. 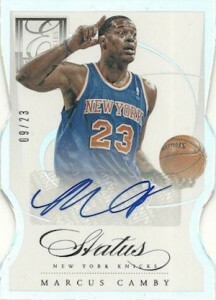 Court Kings use a canvas-type stock and on-card autograph. These look good, but with the name, I'd have preferred to see the art theme taken further. There are plenty of amazing artists out there that could breath new life into the name. Packaging is an often overlooked part of a product. It deserves noting here, even if it ends up in the garbage afterward. The boxes are made of plastic with the single pack inside propped up to make it look like it's suspended inside. It might not change the way the cards are inside, but it's one of those instances where the before picture looks good too. I love how the checklist is so straightforward. Every part of the set is distinct and it doesn't rely on many levels of parallels. I understand their usefulness and I enjoy them sometimes, but parallels can often be a crutch to a product to create rarity. It's a big deal to me that every part of the product feels different. At the same time, it feels connected. Where the checklists falters is in the autographs. The set has a lot of superstars, and they're not even extreme short prints, but there are also many players who aren't. The double-rookie crop is a blessing in that there are more bigger names than usual. At the same time, it means there are twice as many no-impact rookies. It's all a delicate balance. That's why I like the Glass inserts so much here as they take a bit of the pressure off the autographs and bigger hits. 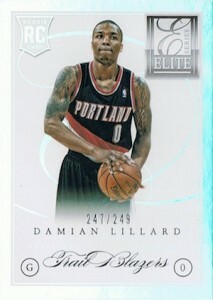 2012-13 Panini Elite Series isn't cheap. And while everything has a premium look and feel, there are far too many lower-tier autographs for such a product -- at least for those looking to get a big return. The checklist has some serious names at every level, but there are also lots of lower-tier veterans and rookies who likely won't be in the league for very long. I think there might be a little more value if the number of autographs per box dropped down to three and the cost was closer to $100 to $120 at release. A smaller base checklist might encourage more collectors to tackle the base set, even if that means higher print runs for those that make the cut. I doubt there'd be much of a difference in secondary market values for a base card numbered to 249 than 400. I do hope that the Glass cards catch on and they become a staple for the brand. I wish we saw more premium inserts like this so that products aren't so reliant on just autographs and hits. That way card companies can build stronger checklists and cut down on redemptions. Even after a couple of days, I find myself wanting to go back and look at these cards over and over again. Even without a mega-star, and getting a sticker autograph and a redemption for a career points per game average of less than seven, they're still worthy of admiration. All levels of the product are stunning and that can go a long way even when Kobe and Kyrie elude you. 2012-13 Panini Elite Series Chris Paul Elite Glass Insert SP.